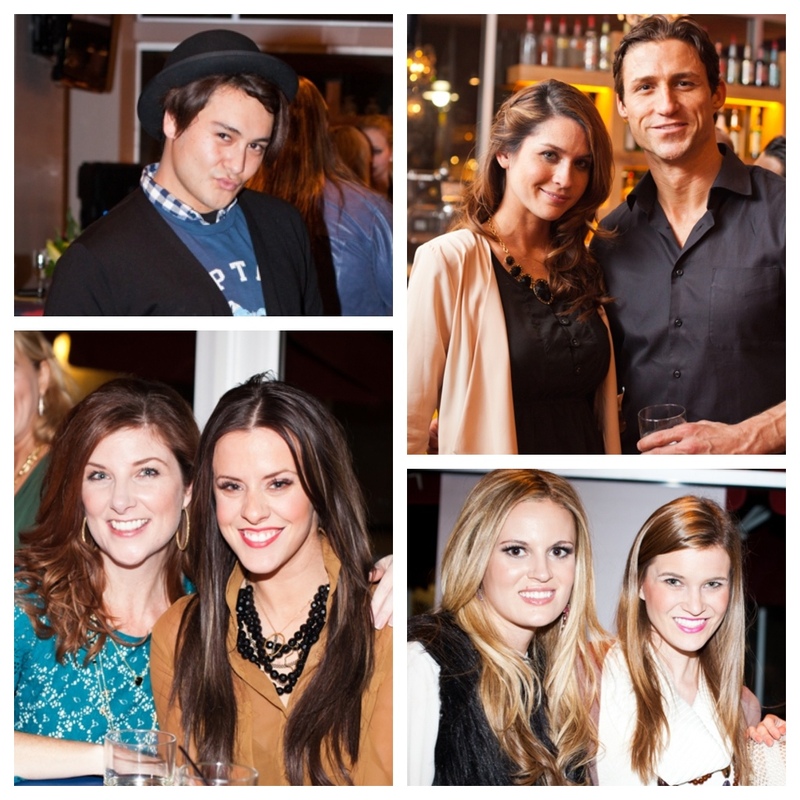 A stylish set gathered at Vapiano in Mockingbird Station Thursday Night for a What To Wear Fashion Show. The evening was hosted by none other than moi, Cynthia Smoot. I had hand-picked a super-stylish and socially savvy panel of trend-setters to help me talk about latest fashion trends. Joining me were Courtney Kerr from Bravo TV's Most Eligible Dallas, Fiona Gorostiza from Fox 4 News, Shannon Yoachum of LoLo Magazine and Sean Charles from Sean In The City. Cynthia Smoot & Courtney Kerr; Shannon Yoachum and Katie Anderson. Photos courtesy of Mosey! Street Style. Guests enjoyed champagne and bellinis, bites courtesy of Vapiano and Trailercakes, music by DJ Joe Vega, amazing swag bags, and more, while scoping out new winter/spring looks by Station retailers Urban Outfitters, American Apparel, Movida, Ann Taylor LOFT, Francesca’s Collections, Relativity Outdoors and The Shoe Envy. Attendees were offered the opportunity to enter a $10 raffle for a chance to win special prizes from The Pretty Kitty and PURE Dental. Proceeds from the raffle will go to benefit LOLO editor Lauren Scruggs’ Hope Fund. Photos courtesy of Thomas Garza. While the fashions on the stage were dazzling, it was the star power in the room that had my head spinning. Pilar Sanders, Candace Hickey from We TV's Texas Multi Mamas, and Phillip Willis, Ashley Kelly, Taylor Garrett and Levi Crocker from The A List: Dallas had the crowd buzzing with excitement. And of course, Courtney Kerr is from Bravo TV's Most Eligible Dallas! Readers of this blog know that I am a huge reality TV fan and over the past year I have talked a LOT about all of the shows that are filming around town - introducing you to the casts and giving you all the offset gossip and news fit to print. It was very rewarding for me to have so many of these celebrities turn out last night to support me. I was feelin' the love. But, don't take my word for how fabulous the evening was! Check out what fashion bloggers Anna and Lauren from Mosey! Street Style had to say about the soiree. My Mother always told me it was better to let others talk about you, than to talk about yourself.